I am suffering from writers block. He, being the ignorant teen that he was, paid no attention to this and snatched the book from the shelf. The clouds had broken up overnight to reveal the dazzling sun glowing in the east. 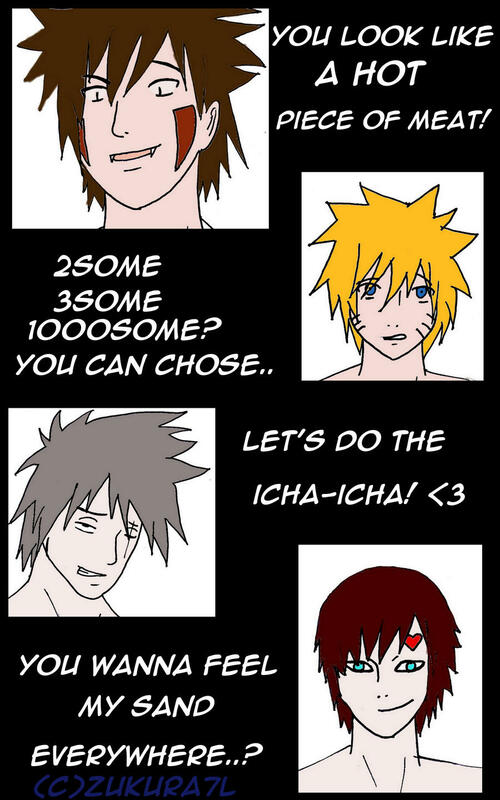 Sasuke must be with Naruto only and vice versa. The regular feelings one has when they are angry include the need to hit something or the person you are angry at, scream at the top of your lungs, and possibly, if you are angry enough, kick puppies. He had spotted Sakura a little while later exiting the Hokage's building. He bit his lip in frustration as he pondered over the morning's events. Naruto was running at top speed, afraid to stop should he get captured. 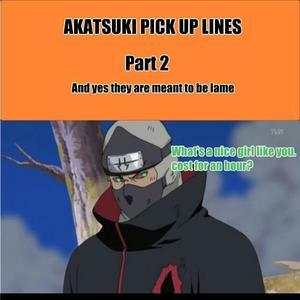 Ero sennin's pick up lines! It made sense for a man to ask a woman their star sign to figure out compatibility between them, thus making it one of the most sensible of these 'pick-up lines' that he had discovered. It will give each person a piece of paper with the pick up line on it and the name of the person they have to use it on. Welcome to the Pick-up Event. He stopped behind her as she glanced around at her plants in satisfaction. Of course, a little spring precipitation was nothing to one particular ninja, who managed to arrive rain or shine. There was a feeling in his gut…and he knew that…he would become the Uke! Hinata blushed redder than usual when she heard her cousin's moan laced with lust and ecstasy. The pink-haired medic turned her head in surprise. Sakura glanced over at him thoughtfully; seeming to regard him with a mixture of amusement and suspicion. The thickness of the spine was at least four inches now that he saw it, and when he weighed it in his arms, he was shocked to find himself struggling to hold it up. 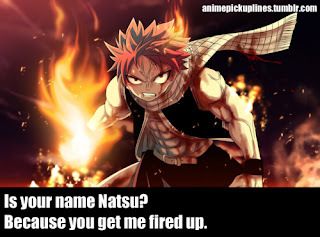 This could save him from Sakura's beatings! The hall was just as ornate as the room, and he saw that there was another door across the hall, but blue instead of his orange. Was it actually possible that the emotionless Sai was actually harboring feelings for somebody? And why was he kidnapped? The medic had managed to twist around and punch a chakara laced fist into his gut; sending him flying across the grounds and into a tree. He had decided that the communication beforehand might have caused the problem. Her eyes darkened, but she merely chuckled. This meant that the hammer which was fastened to the ceiling swung forward, hitting a particular orange book which proceeded to fall on Sai's face. Maybe this stuff wasn't as difficult as he thought. He bit his lip in concentration; considering his next steps to try to move Sakura in his favour. Said hand belonged to Lee, whose eyes were burning with their usual intense passion. Sakura knelt down beside him, pulling his shirt up to inspect the injuries she inflicted. Sai's stick broke, pulling him out of his trance. The string tugged on a spoon, which sprung from its hold and sent a golf ball into a funnel, which then went through a tube, rolling out on a flat space to hit a series of dominoes. Heaving a sigh, the unaware young ninja sat down at the table and began to read the introduction. It was another busy day at the Ichiraku ramen stand. His eyes turned a bright red as the chakara from the Kyuubi started spilling out. Why Sai didn't move during that span of time is a mystery to this day. He had studied her behaviour so meticulously and yet she still managed to outdo him yet again. 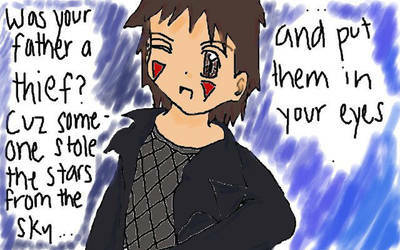 There was him and Sai, him and Gaara, and him and Kiba…and even Sasuke! 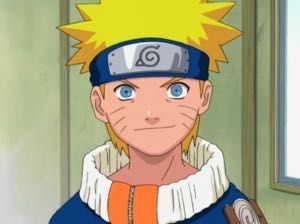 Naruto swallowed the lump in his throat and swung the door open, being greeted with a bright light. This meant that the amount of choice that he was given was narrowed down to a slight few, meaning that his chances of success were narrower than he first thought. It's a year old and kind of crappy. He looked up with bleary eyes at the medic clad in red as she walked up towards him. That is very important information, you shouldn't expose it here. Why was she just sitting there with a smile on her face? She was the one that punched him every time he tried to be a 'good friend'! It was a smart move if I do say so myself. Said dominoes toppled up a slight incline, the last one hitting a precariously balanced scroll, which unfurled and flew downwards; the domino sliding down the paper slide that was created. The pink-haired girl nodded with a huff. Sakura gave him a skeptical look. Her knuckles felt stiff from all of the training she had just accomplished, but other than that, she was none the worse for wear. Naruto turned and shot an evil glare at the prodigy. Of course… he would need some weapons first. Ugly always wanted him to be a better friend and treat her nicer! He ignored this and followed the arrows on the floor. 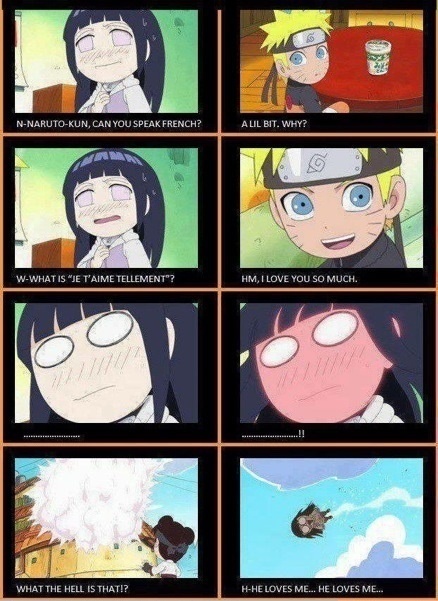 Neji ripped it into tiny pieces and took a deep breath. He just couldn't understand it! He only rose again when a hand clapped his shoulder, causing him to jump. He had been uncertain, if not cautious at first, to agree to being helped by the blonde, but somehow Sai had complied. Why the hell did women have to be so confusing? The shinobi stumbled closer, leaning forward in curiosity to catch the title on the spine. He couldn't help but wonder how some of the pick-up lines were even meant to honestly be directed at a woman. Who was ugly to talk, anyway? I completed and entered it at like. He was staring at her. 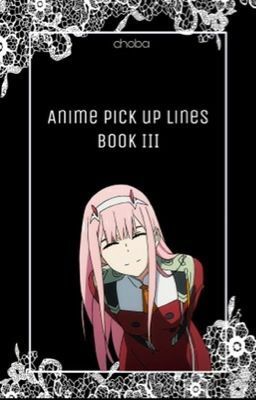 She smiled like it was a common thing for anime characters to be taken away to talk dirty. A single strip of white paper came out of its mouth, and he took it before anyone could see what was written. It was so strange to see the Hyuuga prodigy communicating with Naruto. The book had been taken to the Hokage by Sakura, who explained Sai's role as Jiraiya's victim in this mess. He could only stare as she exited the ice cream shop; leaving him behind to think once again. She glared back, gritting her teeth. Several of these hardly showed respect to women at all. 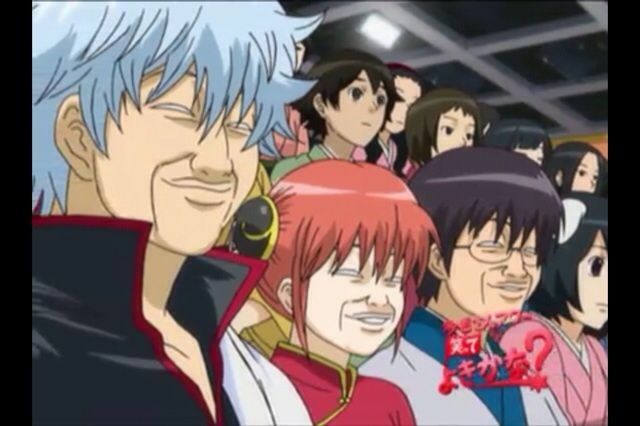 Sai turned to him as they waited; resting his elbow on the table. 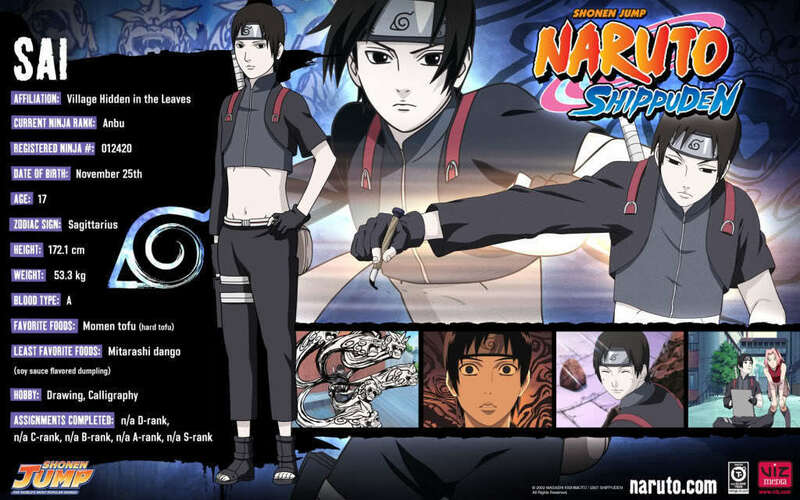 He had heard Shikamaru calling her overly troublesome on more than one occasion, which made him question her abilities. There was the Rookie 9 and Team Gai, and even the Sand siblings.